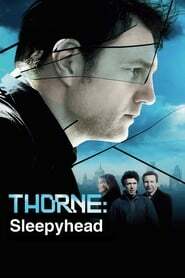 Thorne Sleepyhead: follows DI Tom Thornes investigation into a mysterious serial killer. His first three victims ended up dead. His fourth was not so fortunate. Alison Willetts is unlucky to be alive. She has survived a stroke, deliberately induced by manipulation of pressure points on the head and neck. She can see, hear and feel, she is aware of everything going on around her, but she is unable to move or communicate. In leaving Alison alive, the police believe the killer’s made his first mistake.